CDC Director Brenda Fitzgerald, MD resigns after reports surface she purchased stocks in a Japanese tobacco company after joining the organization. Fitzgerald’s pre-CDC investments, which she divested as a condition of job acceptance, included shares in five other tobacco companies (strange choices for a life-long healthcare professional) and in healthcare companies like Merck, Bayer, and Humana – all of which HHS deemed to be conflicts of interest. Fitzgerald’s financial dealings have led to her recusal from overseeing a number of high-profile CDC efforts including the opioid epidemic and IT. Her resignation deepens the black eye the Trump administration incurred when former HHS Secretary Tom Price, MD (no stranger to scrutinized investments himself) resigned last year after his use of taxpayer-funded private jets came to light. CDC Principal Deputy Director Anne Schuchat, MD has taken on the role of acting CDC Director, a position she held for several months before Fitzgerald came to the agency. Kareo’s Clinical EHR for independent physicians achieves 2015 Edition health IT certification. InSync Healthcare Solutions adds Encoda’s BackOffice RCM platform to its line of cloud-based health IT software and services. Drchrono integrates HDP Health’s clinical trial patient eligibility software with its tablet-based EHR. Health IT collective Cambia Grove develops a directory of startups based in its home state of Washington, with plans to include companies in Oregon, Idaho, Utah, and British Columbia. DocuTap names Robert Rueckl (Edementum) CFO and Jared Linsby (PointClear Solutions) SVP of sales. A study involving Kaiser Permanente Southern California Medicare patients with one or more chronic diseases finds that text-based medication reminders increased refill rates by 14 percent. EClinicalWorks outperforms Allscripts, Athenahealth, Epic, and NextGen in physician satisfaction, according to a Reaction Data report. Intelligent Medical Objects CEO Frank Naeymi-Rad speaks at Harvard Medical School as part of its clinical informatics lecture series in Boston. 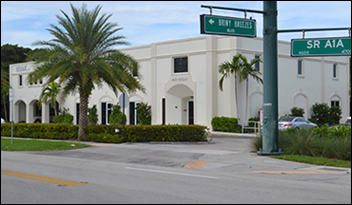 Surfside Non-Surgical Orthopedics (FL) files a class action complaint against Allscripts, saying the company’s ransomware-related outage caused it to lose revenue and spend money coordinating with patients. The practice says the industry has known about SamSam ransomware since March 2016 and Allscripts failed to take reasonable security measures to protect its systems. ClinicTracker adds performance measurement reports to its EHR for mental health and substance abuse treatment providers. PeakMed, a chain of Colorado-based direct primary care facilities, will implement Drchrono’s EHR and text-based telemedicine capabilities from CirrusMD alongside its integration of behavioral health services. The company is in the process of expanding its flagship office in Colorado Springs, and adding additional locations later this year. Primary care-focused population health management company ConcertoHealth moves its headquarters from Irvine to Aliso Viejo, CA – part of a five-year growth plan that includes adding 120 FTEs over the next several months. Scott Rongo (Active Network) joins EMDs in the new role of chief experience officer. Sanjay Vaswani (Center for Corporate Innovation) joins Nuance’s Board of Directors. 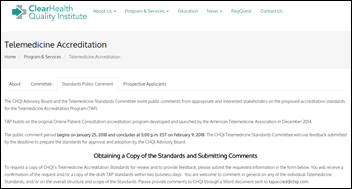 ClearHealth Quality Institute releases draft standards for its updated Telemedicine Accreditation Program, which it took over from the American Telemedicine Association last May. Comments are due February 9 so that the program can launch in March. 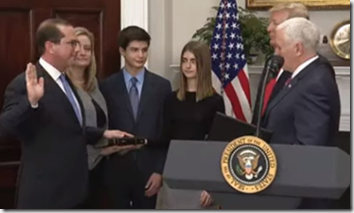 President Trump and Vice President Pence swear in Alex Azar as the 24th HHS Secretary. Researchers from HealthPartners Institute in Minneapolis develop an EHR-linked clinical decision support tool that, after a two-year trial at 20 primary care clinics, helps improve recognition and management of pediatric hypertension. 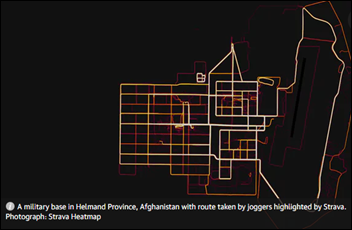 Military analysts realize that a data-tracking map put together late last year by fitness tracker company Strava can be used to pinpoint military bases and operations by following the exercise routines of military personnel who use the Strava app. Readers Write: Should Your Patients Trust You With Their Data? Should Your Patients Trust You With Their Data? It seems innocent enough. Collect email addresses and birthdays so you can reach out to your most loyal patients on their special day. But where is this data stored? Who has access to it? How is it protected? In the digital economy, customer experience is paramount. Data lets us deliver a personalized experience in real time. But making the patient record richer and more valuable to your organization also makes it more valuable to others. Data is the new oil. It’s the fuel powering growth and innovation, and bad actors can’t wait to get their hands on it. Even a seemingly innocuous piece of information such as an email address or birthdate can be used in identity theft. Today, all personal data is sensitive and there’s more of it all the time. If you’re in the healthcare industry, you handle sensitive personal data about customers, employees, and partners; and you’re about to handle much more of it. As digital transformation expands across new areas of our lives, increasingly sensitive types of data will need to be shared and accessed by more entities, more frequently. We may not mind our ride-sharing service knowing our favorite destinations, but we care who sees our medical, legal, and financial records. The days when organizations could be casual about personal data are officially over. It’s time to assess the situation and put technologies and practices in place to ensure your patients can trust you with their personal data. Building that trust will reinforce a positive view of your brand, and protect you against the damaging effects a high-profile breach can have on your organization’s reputation. It’s also a matter of regulatory compliance. All over the world, regulations are evolving to address growing concerns about protecting personal data. Complying can be complicated and consequences for missteps serious. Europe’s new General Data Protection Regulation for 2018 includes fines of up to four percent of global annual revenue. A fine of $10 million on $250 million in earnings is a significant incentive (or penalty, depending on your perspective). Technologies and regulations will continue to change, requiring companies to be vigilant and proactive about protecting personal data. The first step to improving security is discovery. You’ll need to ask a series of questions to determine the extent of the personal data you collect and hold. What types of personal data do you ask for? Where is this data held? What systems and processes handle it? Who has access to it? What security measures are in place to protect it? Which partners need access to this data, and how do they ensure it’s handled securely? How might personal data assets expand in the future? For many organizations, data is fragmented and spread across multiple divisions and partners, with varying degrees of security in place to protect it. To prepare for the rapid expansion of data and access that digital transformation is bringing about, you need to craft and implement a strategic plan for governing and protecting personal data. Every partner contract, for example, should spell out requirements for data security standards and practices. As marketing becomes more involved with data-driven analytics and personalization, it’s important to look to the IT organization for guidance, expertise, and best practices. The right data protection policies, processes, and training need to be prioritized and fully ingrained in organization functions. At a minimum, baseline security technologies and capabilities such as encryption need to be selected, deployed, and routinely tested. Given the complex and dynamic nature of protecting personal data, it makes sense to minimize what you hold. For most organizations, the right course will be to partner with a technology provider focused on streamlining the handling of personal data. Some new API-based services can help deliver the information you need without saddling you with the responsibility of keeping and protecting sensitive data. The right solution should ensure that data is dispersed, not held centrally. It should pull information from authoritative sources. It should depend on permission from the individual for access. And it should be continuously refreshed with the latest updates. We need these solutions in order to support the expansion of digital business. Last year’sEquifax breach exposed 145 million Americans to identity theft. That was followed by Yahoo’s three billion customer accounts being compromised. Still, significant progress is possible. Equifax not withstanding, the financial services industry has long pioneered leading-edge data security strategies and technologies, making online banking and credit card transactions reliable and secure. Now healthcare is in the personal data hot seat as they transition to digital – so get ready. New and more serious threats, rising patient expectations, the expansion of our digital lives, and new technologies such as AI and the IoT mean that protecting personally identifiable data will be an ongoing challenge in the healthcare industry. Now is the time to find ways to protect your organization and your patients from data breaches, and to build relationships with the technology partners who can help you implement effective security strategies now and in the future. Giving your patients the confidence to share the details of their lives with you may already be a competitive differentiator. David Thomas is CEO of data security company Evident in Atlanta. Why did Metro Community Health Centers decide the time was right to implement population health management technology? What benefits do you hope to gain from deployment? As an FQHC, we routinely monitor over 12 different clinical quality metrics through our EClinicalWorks EHR with the support of the Comprehensive Primary Care Initiative data reporting system. CPCI draws clinical, operational, and financial data nightly from our five health centers’ EHRs. Some of the quality metrics include HgBA1C, colon cancer and cervical cancer screenings, obesity, and tobacco use and education. We monitor these metrics on behalf of all primary care providers on a monthly basis and review at our QA meetings. Moreover, we break down the metrics even further by presenting each PCP with an individual, custom report disclosing quality metric scores for their seen patients. Internally, the metrics have been exceptionally beneficial, gauging not only each health center’s performance including practice variations and patterns, but also providing insights to help our physicians identify high-risk and rising-risk patients. Besides serving as senior medical director of MCHC, I’m also the medical director of our ACO, Alliance for Integrated Care of New York. Through the ACO, we use the HealthEC population health management platform to access a tremendous amount of patient data via Medicare claims. A large number of our ACO patients have intellectual and developmental disabilities and live in group home settings. One of the challenges of providing services for IDD patients is that the group homes have their own nursing triage system in place. Therefore, although we have an after-hours on-call service, the decision to send patients to the ER is made by the group home’s nursing staff. While this triage system works well for the group home, our health center providers are not always aware of the date and time when patients are transported to the ED, nor the reason why. We usually learn about ED visits when these patients are seen at follow-up visits. Access to HealthEC data has changed this scenario in that we now track outside care administered to our patients. In fact, we can use the data to pinpoint which patients use the ED the most, which EDs treat the majority of our patients, and which patients have incurred the highest overall health spending. This valuable information has led to the enhancement of individualized care management plans and the ability to appropriately identify and address barriers to care. The data also helps us achieve the Triple Aim’s three goals of improving the health of populations, enhancing the patient experience of care, and reducing costs. With a network of five health centers throughout NYC providing services to a highly complex patient population, MCHC’s implementation of population health technology is key to providing the best care possible for our patients. Knowing exactly when and where our patients are receiving care outside our network empowers our physicians and medical staff to appropriately coordinate with those providers and gain critical information. Essentially, we can collect all the pieces needed to view a holistic picture of a patient’s health to make more informed health decisions. Aside from population health management technology, what other types of health IT is MCHC looking at? I view telehealth as another promising solution to better coordinate care and expand the reach of healthcare delivery. Medical information can be exchanged as clinicians remotely diagnosis, consult, monitor and treat patients via electronic communications. Studies show that telehealth applications can enhance information access, improve the quality of care, increase patient and provider satisfaction, and reduce costs. However, equipment startup costs, as well as the billing and reimbursement rules applicable to telehealth delivered services, present several ongoing challenges for FQHCs. We’re looking at the possibilities of employing telemedicine at our FQHCs and how it could enhance our after-hours on-call service. We’re also exploring the chronic care management module and how best to support using it. Given your ACO efforts and diverse patient populations, what coordinated care initiatives are underway? We’re a Level 3 NCQA recognized Patient Centered Medical Home. As a result, systems are in place to ensure we provide continuous, comprehensive, and well-coordinated care. For example, our processes track referrals for labs, diagnostic tests, and outside specialists; monitor high-risk groups; and track transitions of care. We’ve implemented pre-visit planning huddles to ensure the clinical team can best prepare for patient visits. How is MCHC working with staff to help everyone adjust to the adoption of the new technologies you’ve mentioned? Metro’s move from paper to digital documentation has eliminated many inefficiencies and restructured our service delivery model to maximize the collective strength of our care team members. We’re now engaging RNs, LPNs, and MAs to help with care provision and management, pre-visit planning, care transitions, health education and patient self-management support, and accessing community-based supports and services. The challenge (or rather excitement) is to determine how we can make the most of advanced technologies. We’re aiming to institute a good plan for workflow transitions. For example, we organized a number of team meetings and on-site training sessions for our staff to begin using eClinicalWorks for our pre-visit planning huddles. Our goal is ensuring our staff has the necessary support managing successful transitions. What advice can you share with other physicians who are looking to adopt PHM technology and programs? Talk with other physicians who are involved with similar projects. Compare programs and health centers, and discuss and share best practices so you can identify what works best and is specific to your healthcare organization’s needs. The Senate votes along party lines to confirm Alex Azar as HHS Secretary. Azar was most recently president of Eli Lilly and Co.’s US division. 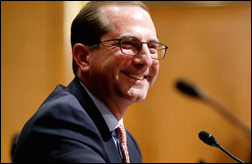 Past HHS positions include deputy secretary and general counsel under President George W. Bush. 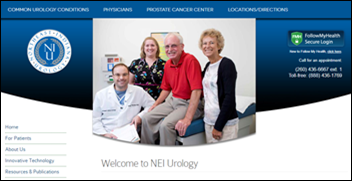 Northeast Indiana Urology selects ISalus Healthcare’s UroChoice EHR,PM, billing, and virtual consult technology. 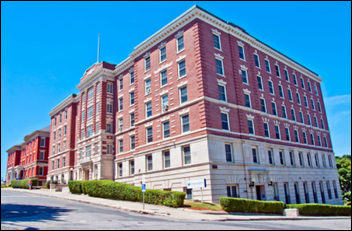 Nonprofit homeless services provider Community Healthlink (MA) will implement behavioral health EHR software from Qualifacts. Altarum Institute develops an interactive online tool to help physicians predict and improve their MIPS scores. 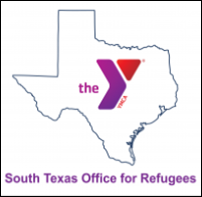 YMCA of Greater Houston will replace the state’s refugee resettlement database with care coordination technology from Eccovia Solutions. The YMCA is one of four Regional Replacement Designees in Texas, and has been tasked with finding a new, statewide database. ChiroFusion adds billing functionality from OpenEdge Payments to its EHR for chiropractors. Point of Care Decision Support promotes Jennifer Glen to VP, clinical services. STD-focused telemedicine company Besafemeds names Dina McKenna (The Requisite Balance) CEO, Dawnyell Bowen (Leo Burnett) CMO, and Modupe Ishmael COO. Community Care of North Carolina appoints Tammie McLean, Tara Kinard, and Jennifer Wehe-Davis to regional VPs. 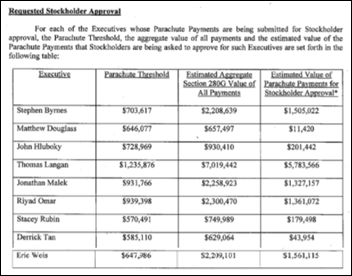 CNBC dissects the sizeable differences (from $7 million to nothing) predicted in Practice Fusion employee payouts once the company’s sale to Allscripts is finalized. It also uncovers documents that show Allscripts initially offered $225 million for the company, but backed out once news broke of the trouble EClinicalWorks was in related to certification of its software. 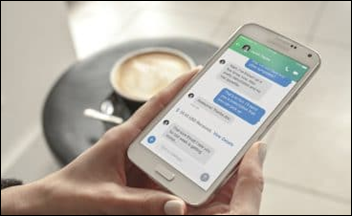 Austin, TX-based startup Medici launches a text-based telemedicine app for physician practices. The company launched its app in South Africa – birthplace of founder Clint Phillips – a few weeks ago, and plans to expand to another 20 countries by the end of this year. 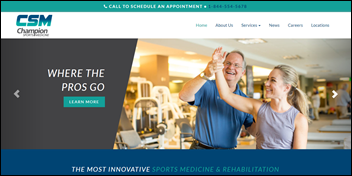 Champion Sports Medicine (AL) rolls out telemedicine services from Healthy Roster, a Dublin, Ohio-based company focused on meeting the health IT needs of trainers, physical therapists, and physicians. The local paper looks at the surge in telemedicine visits prompted by this year’s flu outbreak, which has put stress on brick-and-mortar healthcare facilities. Doctor on Demand CMO Ian Tong, MD says the company has seen visit volume increase 100 percent over the last two months, with most flu-related consults being for patients in early stages of the virus. Competitor PlushCare is experiencing a similar uptick in volume, with 2-3 percent of patients being sent to the ER for more severe flu symptoms. AdvancedMD will exhibit at the Expert Roadshow January 24 in Salt Lake City. EClinicalWorks will exhibit at the 2018 Star Ratings Congress January 29-30 in Scottsdale, AZ.